Harlequin® Heartwarming celebrates wholesome, heartfelt relationships imbued with the traditional values so important to you: home, family, community and love. Experience all that and more with four new novels in one collection! Marine Chad Corallis vows to keep pregnant nurse Lexi Galen safe when poachers threaten her Serengeti clinic. But can he stay close to Lexi and not betray his best friend, Lexi’s late husband? Family? Never again, says brooding sheriff Finn Donovan. But when an accident leaves a little girl in need of a family, Finn can’t help but fall for the toddler…and her guardian. Professional outdoorsman Leith Jordan agrees to teach fashionista Sabrina Bell about the Alaskan frontier. Her new job with an outfitter depends on it. But who’s the one doing the learning when he starts to fall for her? 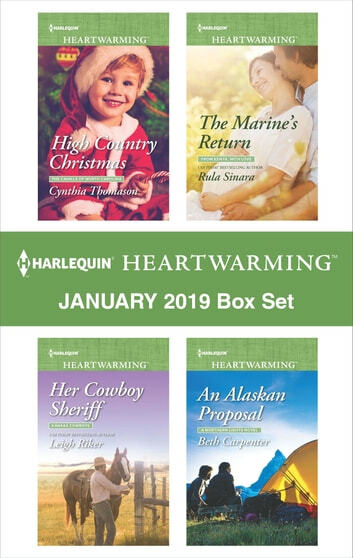 Look for 4 compelling new stories every month from Harlequin® Heartwarming!